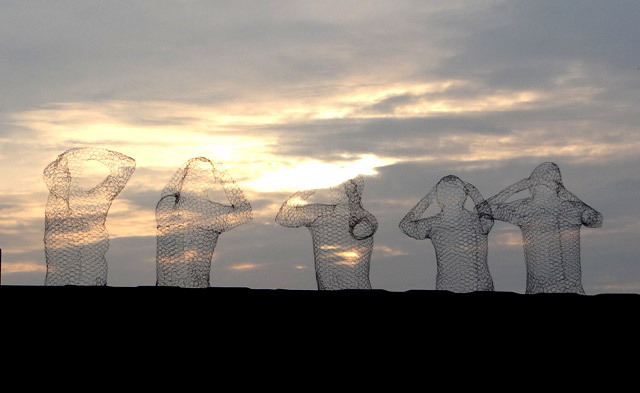 The group of statues were designed by Andreas Hetfeld and Suus Baltussen for cultural festival 'De Kaai 2012', and were originally intended as a temporary display. However, after the many positive comments from visitors, the municipality of Nijmegen ensured that the image group would get a semi-permanent place and were placed back on the shore of the river Waal. Visitors will be able to enjoy the statues for the next five years. 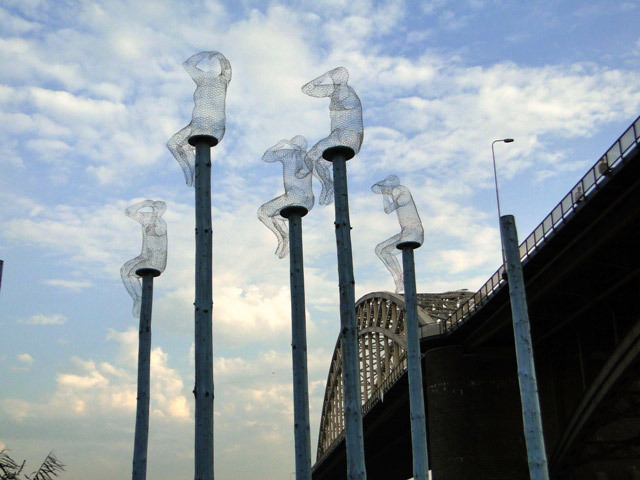 The wire-mesh figures sit atop light blue, wood poles that have been sunk five feet deep into the sand and set in concrete foundations.